Tobacco is a behavior associated with the appearance of several pathologies, such as atheroscleroses or strokes. 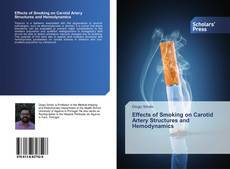 It is crucial that those alterations can be evaluated to prevent major complications to the smokers population and qualified radiographers in sonography field should be able to detect premature vascular changes due to smoking. The purpose of this work was to assess and compare structural and hemodynamic parameters on carotid arteries in smokers and non-smokers population by ultrasound.